Since the inception of the CRM, Mathematical Physics has been one of its leading areas of strength. 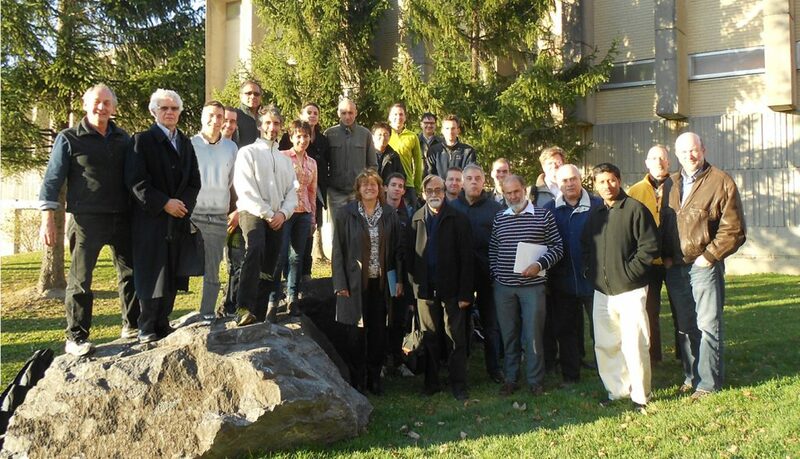 The group has grown considerably over the years and includes at present 19 regular members, 10 associate members and 9 external associate members, all of whom are full-time academic researchers affiliated to seven Quebec universities or to academic institutions in Europe and the United States. Currently there are 25 postdoctoral fellows, 26 doctoral students and 19 masters students, working under the supervision of regular members. Many scientific collaborators and visitors spend various durations as guests of the Mathematical Physics Laboratory. Classical and quantum integrable systems, with applications to nonlinear coherent fluids, plasmas and optics, quantum spin systems and integrable lattice models.